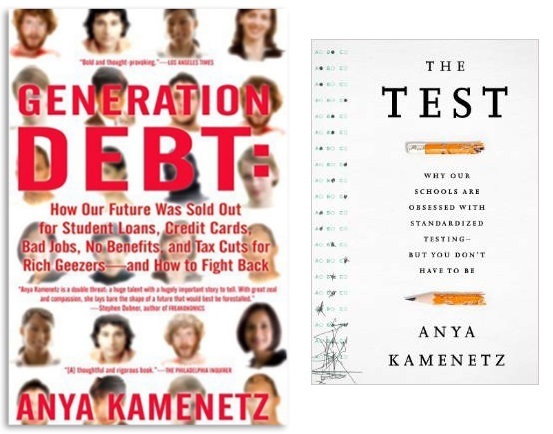 Anya Kamenetz is NPR's lead education blogger. She joined NPR in 2014, working as part of a new initiative to coordinate on-air and online coverage of learning. Kamenetz is the author of several books. Her latest is The Art of Screen Time: How Your Family Can Balance Digital Media and Real Life PublicAffairs, 2018). 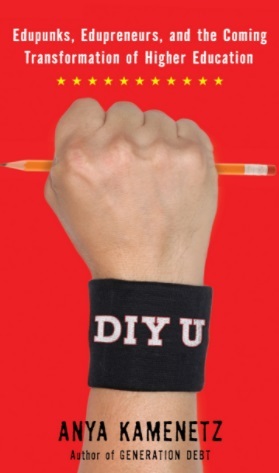 Her previous books were Generation Debt; DIY U: Edupunks, Edupreneurs, and the Coming Transformation of Higher Education, and The Test. Kamenetz covered technology, innovation, sustainability, and social entrepreneurship for five years as a staff writer for Fast Company magazine. She's contributed to The New York Times, The Washington Post, New York Magazine, Slate, and O, the Oprah Magazine, and appeared in documentaries shown on PBS and CNN. Kamenetz was named a 2010 Game Changer in Education by the Huffington Post, received 2009, 2010, and 2015 National Awards for Education Reporting from the Education Writers Association, and won an Edward R. Murrow Award for innovation in 2017 along with the rest of the NPR Ed team. Kamenetz grew up in Baton Rouge and New Orleans, Louisiana, in a family of writers and mystics, and graduated from Yale University in 2002. She lives in New York City. I can assimilate very large amounts of information quickly and communicate it clearly in writing and in speech. I can speak at length with little preparation and keep an audience glued in. My work is often seen as extraordinarily timely if not prescient. Keeping in mind the ethics behind ideas. That they always affect real people in everyday life and we have to understand the impact on the least powerful among us. Personally to flourish in my relationships with my daughters, my husband, my extended family, my dear friends and my community. Professionally to reach ever-greater audiences with clearly articulated and highly relevant ideas--to write bestselling books, to give keynotes at major conferences, to host my own national show, and to be considered an influence at the highest levels. In the past 2 years I wrote and published my fourth book to a warm national reception, while giving birth to and raising my second daughter, and also holding down a well-paying job as a correspondent for one of the most trusted news sources in America. And I ran the NYC Marathon. I struggled with infertility for two years and secondary infertility for an additional year. The medical procedures were difficult but the holistic work I had to do on myself in order to handle this stress has had a long term positive impact on my wellness. Brooklyn is my home; New Orleans, my hometown; San Francisco, my adopted third home. See Tennessee Williams: (https://www.goodreads.com/quotes/629164-america-has-only-three-cities-new-york-san-francisco-and) In Europe, Barcelona; in Central America, Tulum; in Africa, Essouaira; in Asia, Krabi; in the Middle East, Haifa. I like the seashore, clearly! I use a 1L water bottle called Vapur Element that is collapsible, and I always get comments on it. I have a beloved vintage mohair coat in peacock colors. I like the Boho Beautiful channel on Youtube for quick Pilates and yoga workouts. I’m reading the old classic parenting guide How to Talk So Kids Will Listen, and Listen So Kids Will Talk and it’s great tips for everybody, not just parents.